Home > News & Politics > Features > Changing Regimes: Raising Hopes of Peace in Kashmir ? Changing Regimes: Raising Hopes of Peace in Kashmir ? 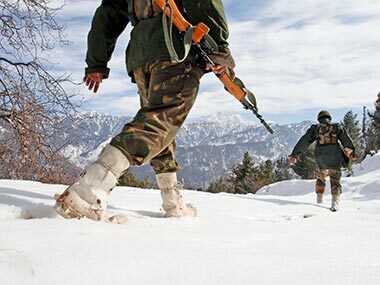 Kashmir has always been the centre stage for Indo-Pak conflicts and unfortunately, both sides have failed to give reasonable concessions to each other in order to solve the problem. Nearly six decades of separatist revolts, wars and militarization, coupled with continuous infiltration has caused severe damage to the peace building and reconciliation efforts. Kashmir and the conflicts in the State has always been seen as a matter of honour, and consequently the human tragedy angle has been ignored. History stands witness to the fact that the path to a peaceful solution or resolution of the K-issue is not a child’s play. It requires a strong political will and consensus that the new regime at the centre is poised to achieve. During the struggle for Independence, rulers of the princely states also wanted to be “independent”. But remaining independent was neither viable (as it would have meant hereditary monarchies and no hope for democracy) nor an option given by the British Government stating that they would not recognize the state as a dominion. Hence, these Rulers of States were given the option of choosing the dominion they wanted to be a part of – India or Pakistan. Kashmir was one amongst the princely states in India and because of its location, could have chosen to join either India or Pakistan. However, the Ruler of Jammu and Kashmir, Maharaja Hari Singh, who was a Hindu while most of his subjects were Muslim was unable to decide which nation Kashmir should join, and chose to remain neutral. He wanted some time before he could exercise his options.As a result, the Standstill Agreement (designed to maintain status quo in Kashmir) was offered by the Maharaja to both the dominions. While India was still negotiating the agreement, Pakistan accepted the offer clearly with an eye on Kashmir. It is strongly believed that Pakistan sent in Muslim tribesmen who were soon knocking at the gates of the capital Srinagar. 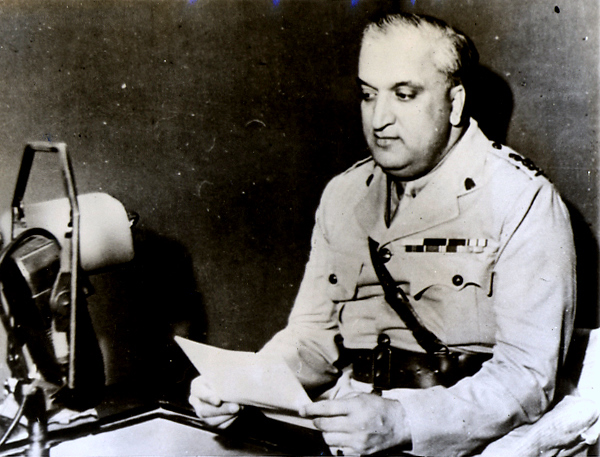 Maharaja Hari Singh then appealed to the Indian government for military assistance and fled to India. He signed the Instrument of Accession, ceding Kashmir to India on October 26, 1947 thereby opening up a new chapter in the Asian geo-strategic history. Indian and Pakistani forces fought their first war over Kashmir in 1947-48. India referred the dispute to the United Nations on 1, January 1947. In a resolution dated August 13, 1948, the UN asked Pakistan to remove its troops, after which India was also to withdraw the bulk of its forces. Once withdrawal of troops had taken place, a “free and fair” plebiscite was to be held to allow people of the state to decide their future.India, having taken the issue to the UN, was confident of winning a plebiscite, since the most influential Kashmiri mass leader, Sheikh Mohammad Abdullah known as Sher-e-Kashmir, was firmly on its side. 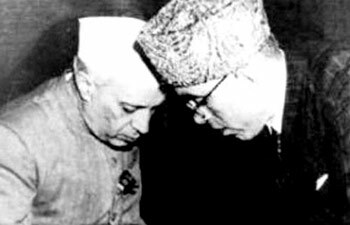 On October 30, 1948, an emergency government was formed with Sheikh Abdullah as the Prime Minister.Pakistan ignored the UN mandate and continued fighting, holding on to the portion of Kashmir under its control. On January 1, 1949, a ceasefire was agreed upon, with 65 per cent of the territory coming under Indian control and the remaining stayed with Pakistan. The ceasefire line was intended to be temporary but it soon turned into the Line of Control (LoC) and remains the de facto border between the two countries even today. In 1965, Pakistan, in an attempt to annex Kashmir, waged a war against India. But a ceasefire was established in September of the same year. The Indian Prime Minister, Late Shri Lal Bhadur Shastri, and Pakistani President, Gen Ayub Khan, signed the Tashkent agreement on January 1, 1966. They resolved to try to end the dispute, but the death of Shri Shastri and the rise of General Yahya Khan in Pakistan resulted into another stalemate. In 1971, the two nations fought their second war, resulting in the formation of independent nation of Bangladesh. As war broke out in East Pakistan in March 1971, and India was flooded with a million Bangla refugees, India declared war on Pakistan on 3, December 1971 after Pakistani Air Force planes struck Indian airfields in the Western Sector. Two weeks later, the Indian Army marched into Dhaka and the Pakistani Army (its remnants) surrendered. In the Western Sector, the Indians managed to launch a blockade against the port city of Karachi and the Army was 50 kms into the Pakistani territory, when a ceasefire was declared. In 1972 late Smt. Indira Gandhi, the then Indian Prime minister, and Zulfikar Ali Bhutto, her Pakistani counterpart signed the Simla Agreement, which reiterated the promises made in Tashkent. In 1975, Smt. Indira Gandhi declared a state of national emergency, and was later defeated in the 1978 general elections. Zulfikar Ali Bhutto was also overthrown and hanged in 1977; Pakistan reverted to its historical fact of military dictatorship and perpetual political uncertainty and this time under the leadership of Gen Zia ul Haq, who is much lauded by his followers till date. Back home, in Kashmir, the balance of influence had decisively tilted in Pakistan’s favour by the late 1980s, with people’s sympathy no longer with the Indian union as it had been in 1947-48 and 1965 as attempts to install puppet governments in the state’s capital and manipulating the democratic process in the state legislatures deeply angered the Kashmiris. However, a ray of hope appeared when the India’s charismatic Prime Minister, Shri Atal Bihari Vajpayee, displayed his Insaniyat approach and tried hard for building peace in the troubled valley. The legendary BJP leader started the bus service to Lahore and worked steadily towards friendly neighborhood relations. Unfortunately the Kargil war proved to be yet another setback to the K-issue and peace in the subcontinent. This was followed by a decade of tumultuous relations between the two countries. On the Pakistani front, even the current Pakistani premier Mr. Nawaz Sharif was over thrown by yet another military coup under General Musharaf.Later 26/11 and scores of other acts of proxy war such as infiltration, killing and beheading of Indian soldiers at the LoC, further strained the relations. Kashmir’s conflict has entered into its 67th year, yet it continues to remain a complex and intractable issue. A plethora of round tables, talks, tracks, diplomacies, interlocutions, etc, have proved fruitless and various peace options proposed by different stakeholders have failed mostly due to the political and intelligence spoilsports and ego clashes among the strong stakeholders. Time has come when both India and Pakistan should step back from their traditional rhetoric on Kashmir.Post 9/11, Pakistan came under immense international pressure to curb the terrorist activities emanating from on its soil. Gen Musharraf took some bold actions against the radical groups and appeared suitably disposed to take the initiative forward. While he signed a declaration of pledge that Pakistan will not allow its territory to be used for terrorism, India , made a commitment that it will discuss all the issues including Kashmir. However, these pledges could never pave the way for peace. Despite numerous rounds of bilateral talks and Track II diplomacy, no concrete results could be achieved. Mumbai attacks of 26 November 2008 proved the last nail in the coffin. The fact remains that, in the heat of Indo-Pak rivalry, Kashmir kept burning and therefore deserves no political or historical controversies but a sympathetic healing touch. A temporary constitutional link was introduced in the name of Article 370, granting special status to the state in 1947 between Sheikh Abdullah, then the appointed Prime Minister of J&K and Jawahar Lal Nehru, who took charge of the Kashmir portfolio. This Article was meant to extend the Indian Union’s constitution fully into J&K and was to cease to exist before dissolution of the constituent assembly. In 1957, Kashmir was formally incorporated into the Indian Union but Article 370 continued to exist. It is this Article that has currently stirred a hornets’ nest with the CM, Junior Abdullah openly warning the centre against any move towards its abrogation. 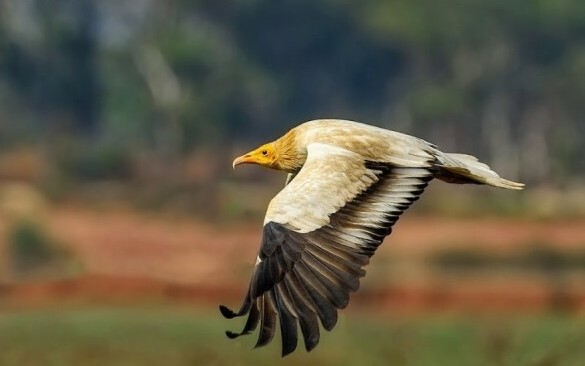 The Article which grants the state a special status and among other things includes that no non-state subject can buy property in the State.While the BJP’S/NDA’s manifesto against article 370 was widely criticized in the social and intellectual circles, the new government has lost no time in raising the ante on Article 370. As a result, even before the ministers and ministries could find their feet on ground, one of the ministers fired an unguided missile, with counters flying all over the country.Such a debate has increased the apprehension of the masses in Kashmir who view the attempts towards its abrogation as an attack against their distinct identity. People feel that Article 370’s correlation with development or under development in the state is an invalid political rhetoric. Though the Minister of State(MoS) from Jammu was quick to retract, NC found an opportunity to resurrect its lost face after recent drubbing in elections. PDP was left with no option but to follow NC in the offensive against BJP. Honourable Prime Minister Mr. Modi, during his Jammu rally, had made tall promises on the return of Insaniyat, Jamhooriyat and Kashmiriyat approach, raising hopes of the masses. The fact is that there is so much lost ground to cover that it will take a full term before people can start feeling some relief and the NC and PDP would do better if they stopped flogging the horses that died a long time ago due to their poor governance, corruption and lack of empathy. Taking the debate on to the question of accession and talking about plebiscite are child’s play in the eyes of the Kashmiri masses. People are neither ignorant of history nor are they in a mood to allow politicians to keep playing with their lives. Jammu and Kashmir needs governance at the centre that understands their long drawn sufferings. People are waiting to see the decisive ways of reconciliation with the strife torn past rather than politicization of the historical wrongs that have been done against them.We need to realize that the country is not winning but losing the people’s faith by such slogans. Even if it means nothing, the very talk of emotive issues such as abrogation of article 370 could mean a disaster. The words Insaniyat, Jamhooriyat and Kashmiriyat are too serious and consequential to be allowed to be drowned in the sea of vote bank politics. Irrespective of party affiliations, leaders need to understand that the State must move forward on peace initiatives and development rather than rubbing salt on the wounds.The fact is that even some separatist leaders have recently hailed the BJP’s concern on the K-Issue during the Vajpayee era. However the painful question remains whether BJP is really thinking with empathy on Kashmir? BJP needs a rethink on their J&K policy because every time they even casually discuss Kahmir, an enemy perception for the party evolves in the valley.People argue that it is either their craze for hoisting a flag in Lal Chowk to prove Kashmiris’ as anti nationals or their pledge to abrogate Article 370 without any positive and developmental vision of the conflict torn Kashmir. The NDA regime at the centre must seriously look into the interlocutors’ report and implement its recommendations to deliver peace in Kashmir. With new governments both in Pakistan and India, hopes of a peaceful Kashmir have once again gained an impetus. The modus operandi of both the governments will be keenly watched in the Valley. The Kashmiris aspire for peace, progress and harmony and the Modi-Nawaz era has to deliver. An era which must prove to be an era of hope, growth, progress and peace and both the countries must move ahead. Instead of raising the storm on Article 370, the new regime should make a beginning by first healing the wounds of Kashmiris-who have faced it all and continue to reel under constant fear. On the expectation of delivering peace in Kashmir from the Modi regime; personally we are hopeful. Shahid Lone and Adfar Shah are doctoral scholars at Jamia Millia Islamia, New Delhi. Views expressed are personal.